Taking care of property goes hand in hand with owning it, but many building owners put off maintenance for as long as they possibly can. While this may seem cost-effective in the short term, it almost always causes more problems than it solves. Over time, many structures can develop defects, such as warping in the wood. Pests may also decide to infest a building that isn’t being regularly checked for termites and other insects, causing costly and irritating issues for the owners. Whether you own a property in Mornington or are trying to buy one, it’s in your best interests to have the building you care about checked out by professionals before conducting any business related to it. One of the best ways to do this is to arrange for regular building inspections in Mornington. Building and pest inspections in Mornington are a common way to identify any faults that could prevent you from selling your home, or from wanting to invest in one. If you’re thinking about buying a property, you’ll want to make sure it’s safe and sanitary first. You’ll want to look for pre-purchase inspections which prospective Mornington buyers rely on to identify issues they may not have been aware of before committing to legally binding ownership contracts. No matter what category you fall into, you’ll want to make sure you know of a trustworthy company to carry out property inspections in the Mornington area. Your best option is to look for an experienced company that provides exceptional customer service. 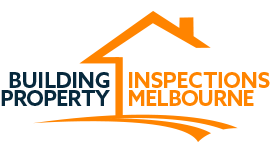 Thoroughness and honesty are just two of the virtues exemplified by Building Property Inspections Melbourne, established in 2005 and with over a quarter-century of experience between inspectors. Our goal is to provide peace of mind to prospective buyers and owners throughout Mornington and the surrounding areas, by positioning ourselves as a truly objective way to learn about a building. Our detailed reports cover both major and minor issues with buildings, including structural defects and the presence of various pests. Arranging for a building and pest inspection is never easier than when you call us for help. Many of our customers save thousands of dollars when they contact us to inspect a property. Our services help people avoid unnecessary repairs or costly errors, such as making an agreement they can’t back out of before discovering significant problems with a building. Think of us as a kind of “minesweeper” for owners or those who want to own homes. We’ll let you know if a place is safe to move into, and advise you on the best ways to deal with any existing problems in a home you’ve owned for years. In addition to being extremely diligent, we at Building Property Inspections Melbourne pride ourselves on being friendly and dependable. We make ourselves available on short notice so that we can accommodate your requests when you need service most. For more information on our services, simply give us a call and speak with a representative. We’ll be happy to help you learn more about how we can help you buy with assurance.